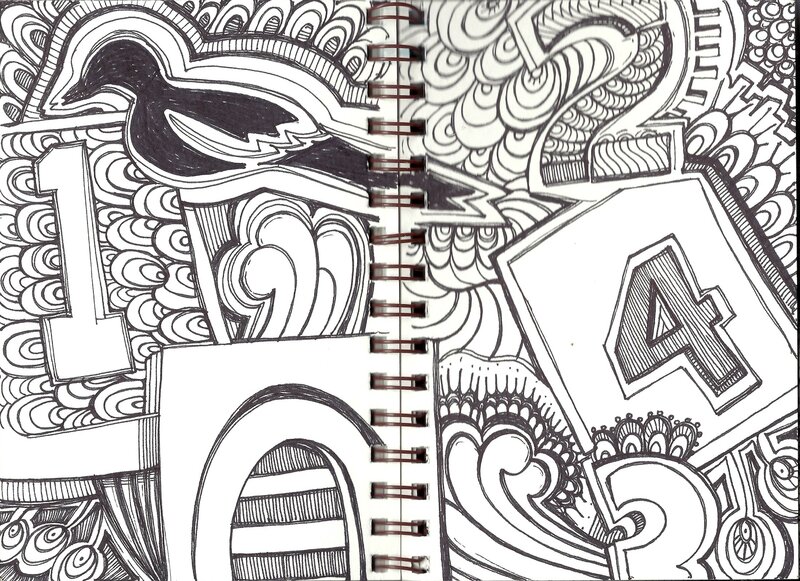 So in yesterdays post, I spoke of how journaling has helped keep me sane through the years. 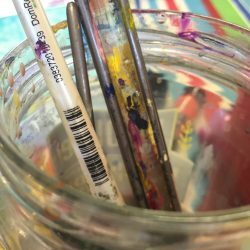 About twelve years or more ago, I heard about the concept of “art journals.” I had been doing something similar, but not the the degree of the artist’s I found online – and I was so inspired! I have always liked collage and text, and this was a great way for me to combine both of them. 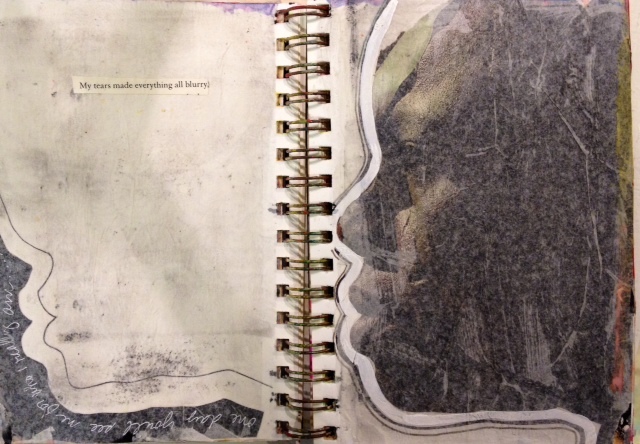 I began working in an oversized altered book — using gesso to block out a lot of the images and text on the pages. In it, I collaged photographs of Greek and Roman sculptures, stained glass windows, and any type of image that I found interesting. Then I painted, drew and collaged more until the images looked the way I wanted them to. That book, started in 2004, is still a work in progress. Some of the pages are complete, and have come out of the book. But many are still in tact. Some have just the background started, and others are almost finished — just waiting for that final je ne sais quoi. 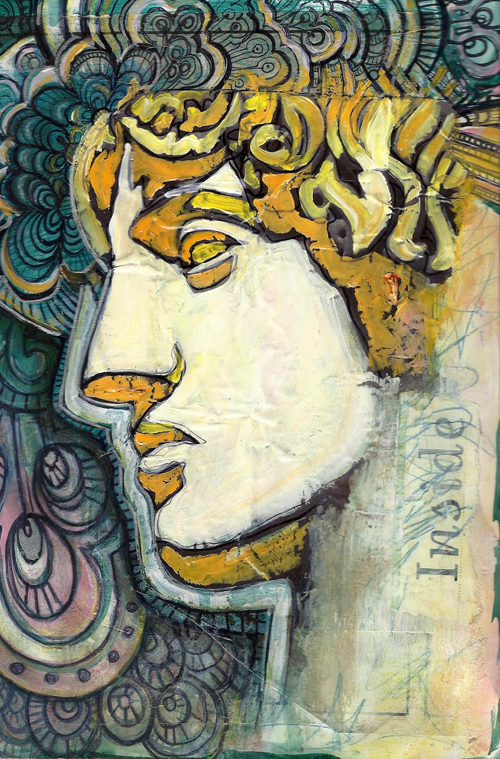 A couple of years ago, I discovered spiral-bound sketchbooks that have thick mixed media paper, and are marketed as “visual journals”. 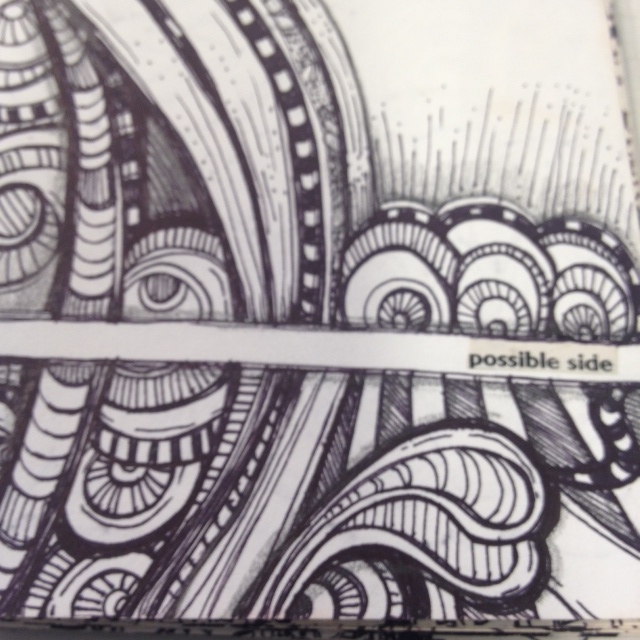 My first one is filled primarily with just doodling. 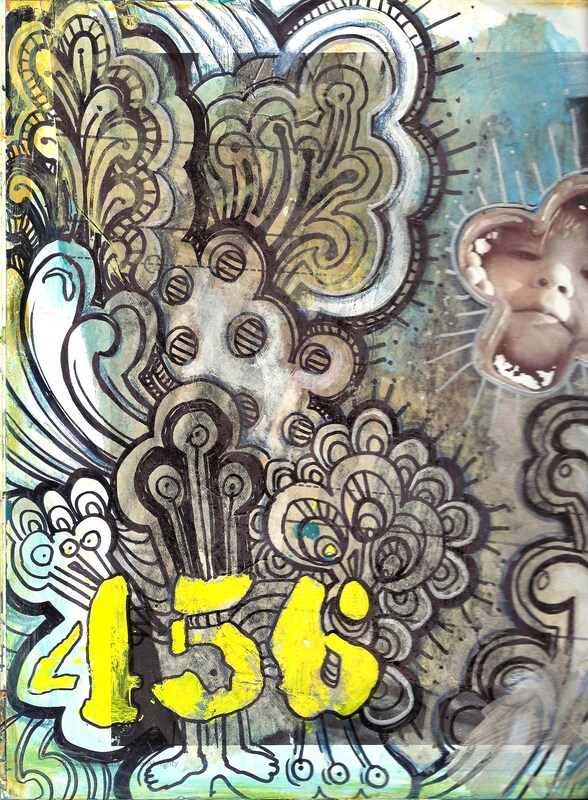 As I’ve progressed, and I’ve seen my pages get a lot more colorful and painterly, and I’ve collaged a lot more. I have four volumes in progress right now, with volume 1 almost complete, and volume 4 in it’s infancy. 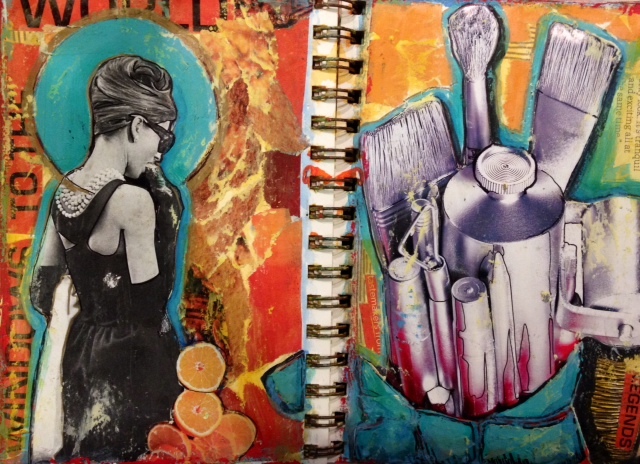 I’ve just added an ART JOURNAL page to the blog, with galleries from each volume. Stay tuned for more!